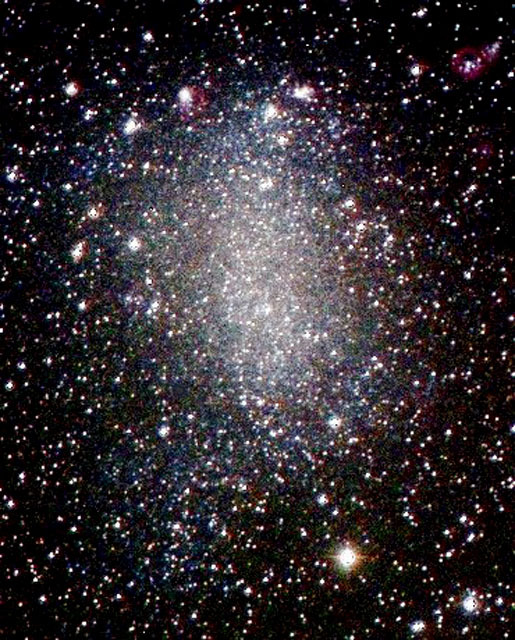 NGC 6822 (also known as Barnard's Galaxy, IC 4895, or Caldwell 57) is a barred irregular galaxy approximately 1.6 million light-years away in the constellation Sagittarius. NGC 6822 is part of the Local Group of galaxies (M31, M32). Several nebulae, belonging to this galaxy, are visible on the image.